In a world with rapidly shrinking attention spans, brands seem to be pulling all sorts of bizarre tricks out of their hats to stand out. The latest contender is the Swedish company IKEA, which is known for its ready-to-assemble furniture. 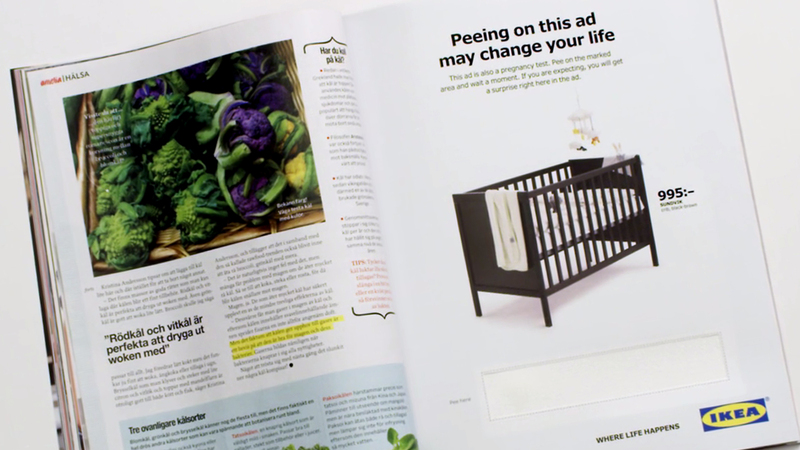 In a Swedish publication, Amelia Magazine, an IKEA ad featured a baby’s crib with the text: Peeing on this ad may change your life. Basically, the interactive advert doubles up as a home pregnancy test. If the result is positive, the woman is eligible for a discount on the IKEA crib. It is unclear whether the reader has to bring the urine-soaked page to the store to avail the discount. The crib which otherwise costs 995 krona (approx. Rs 7,780) will be on sale for 495 krona (approx. Rs 3,870).